I came across a thought-provoking post that made my morning exercise bike ride good for my mind, as well as my body. Within a certain context, the debate between free will and determinism is certainly useful — it’s made a lot of people a lot of money, and it’s kept a lot of brains busy for a long time. I think these foundational questions keep coming up, because they do serve a deeper purpose, as well — they help inform the meanings of our lives, and as you say, differences between the two mindsets color our attitudes toward punishment, crime, and so forth. So, maybe there’s something to them… though I do agree that the arguments don’t necessarily operate in the same “space”. They aren’t mutually exclusive; they can complement each other. The fact that they keep co-occurring in arguments over and over speaks to that. It’s interesting… my own research into the neurobiological underpinnings of the human experience has led me to a deep appreciation of just how free will and biochemical cause intersect at the most basic, fundamental level of our lives — in the trillions of synaptic clefts that fill our system with a non-intuitively massive amount of separation. 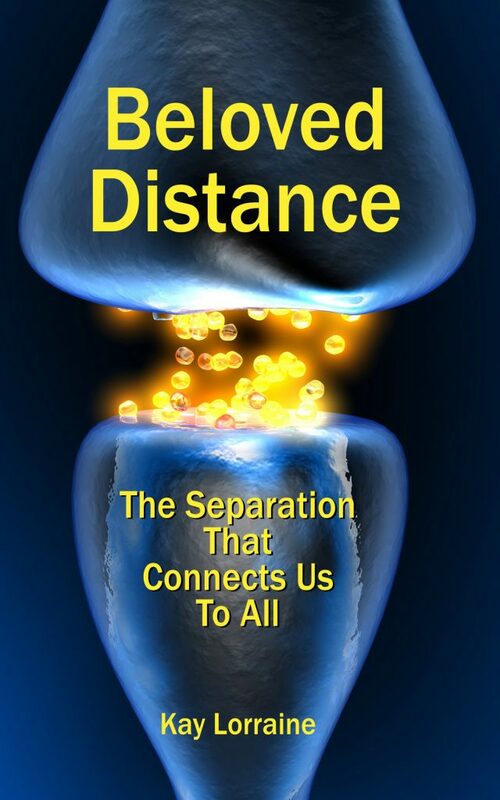 We’ve got a whole lot of distance embedded in our nervous systems (in linear 2D terms, over 2000 miles worth), and across those synaptic gaps, neurotransmitters are constantly at work. They’re active, right now, as I write this (and you possibly read it), transforming distance into intimate connections that truly (literally) enliven us. Neurotransmitters can — and do — exert a causative influence. And on top of that, they can be changed and shaped by our attitudes, our conscious behaviors, as well as how we choose to think and feel about things. The more I think about it, the more I’m convinced that rather than either-or, we have a both-and situation. And when we combine the strengths of each argument and see how they can co-exist and complement each other, it gives us a richer and more generous concept of humanity. It also gives us more to work with — and it lets us avoid sinking a lot of time into arguing about who’s right/wrong, so we can have productive discussions about how to actually address the pressing questions of our times. Philosophical problems are a lot like habits, some are good, some are bad, and some never seem to change. This could not be truer for the dichotomy between Free will and Determinism, which has been debated amongst intellectuals from as early as 1525. Some philosophers champion free will, others champion determinism, and a select few suppose it to be the case that free will and determinism are compatible. To say the least, many great scholars have spoken of this subjects within their writings, for instance: Kant, Hume, etc. There have been numerous attempts to formulate a resolution to the dichotomy of free will and determinism, but none have been satisfactory. The reason, I suspect, this problem has reigned over philosophy for so long is because intellectuals have failed to take notice of one key detail: strictly speaking, there is no solution for the dichotomy. To understand why this ancient problem has no solution, it is a necessity that we first understand the details which support the dichotomy: namely both, the meaning and usage of free will and determinism. After that, we shall be able to see why, in fact, the free will and determinism dichotomy is a pseudo-problem: a problem with no mind-independent solution. What’s the *real* problem with the #NetNeutrality ruling? Suppose I have a choice between A and B. I feel myself leaning heavily toward A. So, just to spite inevitability, I’ll choose B instead! Seems too easy. But then I realize that my desire to spite inevitability just made B the inevitable choice. So now I have to choose A to avoid the inevitable. But wait, now A is inevitable again … it’s an endless loop! No matter what I choose, inevitability always switches to match my choice! Hmm. So, who or what is controlling the choice, me or inevitability? That was the experience that let me see through to the other side of the paradox. Reliable cause and effect is not an external force coercing me against my will. Rather, reliable cause and effect is just me being me. Scientifically, reliable cause and effect is the mental processes running on the hardware of my neurology, processes by which I imagine alternatives, estimate the effects of choosing different options, and selecting for myself the choice that best suits my own purpose and my own reasons. And it’s the blood running through my veins feeding all my cells, and the muscles that carry out my choice. Reliable cause and effect is just me being me. It is not some boogeyman that I need to escape from through the supernatural or through quantum indeterminance. It is nothing that I can or or that I need to be “free of”. And free will is just me deciding for myself what I will do, free of coercion or other undue influence. It does not require freedom from causation. In fact, without reliable cause and effect, I could never reliably cause any effect, and would have no freedom to do anything at all! I agree, free will doesn’t require freedom from causation. I think of it as actually directing causation, very much because of neurotransmitters, which may kick off certain effects, but which can be modified and “willed” to do a variety of things based on our own intervention. The biochemistry piece of it is often missing in discussions I’ve heard/read, and it’s an important piece, I believe. I think of our “wiring” as the hardware, and our neurotransmitters as the software. Both are intimately connected, and they play off each other constantly. Unless we consider the “soft” piece of it, our considerations will be incomplete. I find it really interesting that you had that experience when you were a teenager. I think that, biologically, male and female ways really differ in how they/we relate to free will and determinism. On a physiological level, as a teenage boy, you’re learning how to manage your body’s behaviors — mind over matter — while teenage girls learn how to negotiate biological cycles which are absolutely out of their control — no amount of willpower is going to change the monthly cycles which shape our lives in indelible ways. When we look at how our minds relate to (and may seek to control) our bodies, it fills in some blanks that are often overlooked or disregarded as a matter of course — simply because 49% of the population hasn’t had a specific physiological experience. But back to neurology. Again, any discussion of mental processes that doesn’t include neurotransmitters and biochemistry is incomplete. That part of our makeup is just too central, to overlook. Once we add it to the mix, however, a lot of things start to make more sense. Thanks for sharing your thoughts. I appreciate the time you took to write. It’s great to study science. We need to keep in mind though that there is a difference between “explaining something” and “explaining it away”. Neuroscience can explain how choosing happens, but it cannot say that choosing doesn’t happen. How “our brain” works is how “we” work, because our brain is us. So, if it comes down to just neurotransmitters and biochemistry, then that is also still us. Free will is when “that which is us” is the same as “that which chooses”.